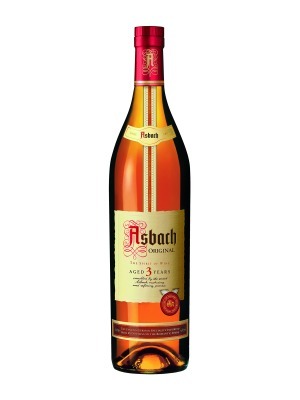 Asbach Original 3 Year Old Brandy is a popular Brandy and Cognac available from Amazon.co.uk in 70cl to buy online. Visit Amazon.co.uk for the best price for 70cl of Asbach Original 3 Year Old Brandy or compare prices on our other Brandy and Cognac products. Aged for three years, Asbach Original acquires its unique and distinctive taste through traditional distillation, careful storage for at least three years in Limousin oak casks and the secret Asbach maturing and refining process. Where to buy Asbach Original 3 Year Old Brandy ? Asbach Original 3 Year Old Brandy Supermarkets & Stockists. You can buy Asbach Original 3 Year Old Brandy online in most retailers and find it in the Brandy and Cognac aisle in supermarkets but we found the best deals online for Asbach Original 3 Year Old Brandy in Amazon.co.uk, TheDrinkShop, and others. Compare the current price of Asbach Original 3 Year Old Brandy in 70cl size in the table of offers below. Simply click on the button to order Asbach Original 3 Year Old Brandy online now.